Where do I begin? Was it the storm itself? I mean the one outside, raging and roaring like some ill-tempered child. Or was it the storm in my head, the whirlwind I constantly found myself in? Or did it really begin, like so much else – far earlier. Suffice it to say that I was confused; nothing made sense – least of all the weather. Where did that storm come from? I watch, as you know, 24 hour news – well – almost 24 hours a day. And the weather is every half an hour. But was I really taking it in? For the life of me I cannot remember any storm warnings, no amber bars on the screen, no violent wind arrows streaming across the land like some Norman invading army. So that night, when I woke in a blind panic with the branches of the old chestnut tree lashing my window and the sky lit up by flashes and rolls of thunder – to say I was confused was an understatement of an understatement. “Where has this awful weather come from?” was my immediate thought. No, before that even it was “Am I awake?” You see, I keep having these violent dreams, where I am lost, abandoned, searching desperately for the house or the room where you are. Or at least the house where you might be, because, just as in reality, or at least the reality I have been forced to accept – not the one I would have chosen – you are, as elusive as ever. At least when you were here, on the other end of the sofa or in the kitchen fixing us a meal I had some idea where you might be. But even then, and yes, actually, especially then, I was never sure if you were really there. Your physical self? Well, at least I could see that, but what went on in your head, what you were really thinking – was as unknown, and, indeed, as unknowable as anything I had ever encountered. So maybe we have to go back to that other time, that very sunny day, the day we met. In fact, the weather seems to have affected both you and I far more than I had realised. Was it really Summer when I first saw you? Early Summer – it might have been the first week of May. That very verdant time, when the fields, the hedges, the trees are all a brilliant, almost impossible green. Colour is exploding everywhere you look, obscenely pink blossom on the trees and wild flowers all striving to be noticed and, of course, just like young lovers too – striving to be pollinated. Was I simply trying to pollinate you? And were you sending out your scent, hints of the sweet nectar I would find enfolded in your arms? Whatever…best not to over-analyse these things, complicated as they always are. But it seemed to me, at the time, and yes, even now, that we were destined for each other. Though just as the male spider approaches the female with caution – I was wary of you, my dear. I had been bitten before, I had tasted love and lost it too. I wasn’t even what you might call ‘on the rebound’. It had been three years since my last encounter. I had been living an ascetic life, spending frugally, wearing old clothes even when they were threadbare and burying myself in work – to stop me thinking how lonely I was, perhaps. And then you broke through the cloudy barriers I had hoisted for my protection, bringing all that promise, all that sunshine with you. Ah, what is the use of all this reminiscing? None of it can disguise the fact that I never knew where you were. Of course, the truth is that I never even knew who you were. I said that you were elusive, and though that was part of the attraction, I could never pin you down. And maybe that was what I really wanted to do. To capture you, still your beating butterfly wings, fill your veins with embalming fluid and pin you down like some exotic specimen under glass and mahogany. To stand back and admire you, to look at you from every angle, to finally see what lie behind those bewitching eyes, to finally understand what and who you were. But maybe you were just that bit cleverer than I, you saw the net I was constructing for you; you slipped away just as it was closing it in on you. For you escaped. Well, as you know only too well, you had escaped long before you actually left. Oh, you left your body behind, you let me hold you, unfold you, cover your body with kisses. You never resisted my touch, but all the while I could feel the unspoken word hovering between eye and lip. “Traitor”. You never spoke out loud but I could hear it nevertheless. You discerned far before I even admitted it to myself, that my love was false. My words of love were simply words, my caresses were for my satisfaction not yours. And you escaped. You rolled your eyes back into your head and eluded me. And then, the night of the storm – you actually left. Maybe it was the very delicate sound of your dress swishing against the nylon of your tights as you tiptoed down the hall? Maybe it was your muffled breath as you wound the scarf gently round your neck? Maybe it was the click of the front door as you let yourself out? But despite the raging storm I was suddenly alert to your leaving. Above the howling wind, the lashing rain, the roar of the thunder – I heard you leaving. And I was suddenly up and dressed before you had even left the garden. I stood in the dark at our bedroom window and watched as you turned for one last look back. I saw you turn left. The town – of course. I walked calmly downstairs, my mind more rational than at any time for weeks. I put on my heavy Berbour and a waterproof hat. I rummaged for a torch and my keys. I quietly closed the door and started silently after you. I had to reach you, to talk maybe, to stop you from leaving. You kept turning to look back; you didn’t see me in the shadows though I had you in my sights all along. I was watching you my dear, and even then a small part of me was hoping you might escape and find the peace you were seeking. I kept a safe distance behind, biding my time, savouring every moment of your flight. The wind whipping your coat and flapping it behind you like some huge eagle’s wings, your hair coming loose and flying in wet strands, the tendrils dragging me closer to you. Ah, you never looked so beautiful. I breathed in and caught the merest whiff of your scent, borne on the wicked wind. I knew that just a few yards ahead the houses peter out. The street lights are far apart a few hundred yards here before the real town begins. The safety of the town, that was where you were heading, wasn’t it? Just this short patch of wasteland between me and safety; houses, restaurants and shops, people, the railway station. But you never quite escaped, did you my love? Did you really suppose it would be so easy? Leaving me, I mean? Why, we should have talked things over. Come to some compromise, shouldn’t we? But no, you chose to leave, to desert me, to try and slip away while the storm raged around us. Oh, how I wanted you to stay. But I forgive you. Yes, that may surprise you. Here am I, the wounded one, the man you left with nary a word and after all I had done for you too. And yet I feel no anger towards you now, in fact as I forgive you, I find I love you even more. And now my love is true, no more pretending, no more searching your eyes for lies, for signs of betrayal. Your eyes are shut now darling, no more accusations, no more lies. The storm is over, no more rain to drench your perfect hair – no, the rain has even washed the slight pool of blood away. Strange you didn’t bleed that much at all my dear, I soon staunched the wound. Thunder stole your faint screams; lightning lit the fear in your eyes. ; no more rain on your face – just my kisses. No more those eyes accusing me of betrayal, of falsehood. Your eyes are shut now my sweetest love, you are free now. In fact, we are both free now. No more confusion, just calm. And just outside the window the sun is breaking through. No more storm outside – or inside my head, just calm now. I am so tired, let me sleep beside you one more time. Marc Cohn – Just the one album, The Rainy Season. And I don’t know why I never bought any others of his. This record is pretty damn good. Best songs ‘Walk through the World’ and his biggest hit ‘Walking in Memphis’. Very Americana and very good. Makes me realise how many records I will never hear…oh well. Coldplay – well, this is one of those bands that are massive and yet…..I don’t really like them. Oh, they are wonderful, of course – that cannot be denied, but They are one of those self-important very rich bands that create very little and play huge stadiums etc. etc. I bought their first album Parachutes – and loved it. And it was downhill since then. The album was their debut and came out in 2000. It was, or seemed, largely acoustic – and it is a classic. Great songs and that world-weary yearning voice; best songs ‘Yellow’ and ‘Trouble’ though there isn’t a poor song on the record. Two years later came A Rush Of Blood To The Head. I bought it, but somehow, for me at least, some of the magic had been lost. They were already Superstars and it seemed to show. Somehow all that magic of the debut is lost in a bombastic production and grandiose posing. Well, maybe it was just me because the album and the band became massive. Best songs ‘Politic’ and ‘The Scientist’. 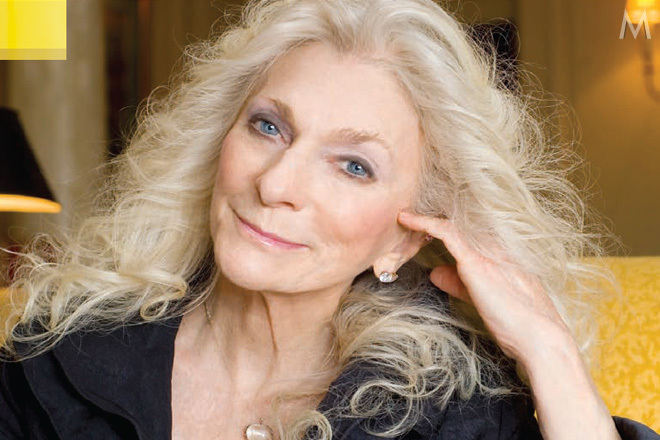 Judy Collins. I first heard of her while I was in the lower Sixth; she was part of the new folk movement of the mid-sixties along with Joan Baez and Buffy Ste. Marie. I did buy a couple of her LPs later and was quite disappointed. Her real forte is as an interpreter of songs. In her quite old age she has released a couple of albums singing Dylan and Cohen songs. Strangely, although her voice is crystal clear and beautiful, she misses the emotion and tension that the original singers (singing actually quite badly) managed to capture – so a bit disappointing really. 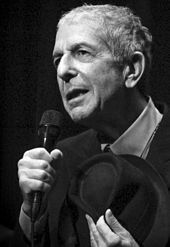 I am sure I wasn’t alone in thinking that Leonard had called it a day; gone out on a high at least; that there was nothing more he wanted to say, no more wisdom to drop into our ears, no more records. And quietly the record came out Ten New Songs. This was the result of a collaboration between Leonard and one of his singers, the sublime Sharon Robinson, who co-wrote and sung on the songs; I suspect she wrote the music. And this, of all Leonard’s record is the smoothest, the most similar – in fact the music is almost all of a piece and the same pace throughout. Leonard’s words, almost whispered now pass you by like weeds in a stream, floating past and hypnotizing, but very few actually snag and stick in your brain. A beautiful record even so, but though I do like listening to it (personally I would buy an album of Leonard farting in the bath) it is not, for me, in the top league. Best songs ‘In My Secret Life’, ‘Boogie Street’ and ‘Alexandra Leaving’. I have to struggle to remember a line, but ‘I fought against the bottle, but I had to do it drunk’ sticks somehow. Two years later (2004) came ‘Dear Heather’, maybe the strangest record in his entire career. There were two or three tracks from the New Song recordings, a couple of new songs, a live track and two spoken poems to a mild jazz background, one not even written by Leonard. One got the idea that this was scraping the barrel a bit. Even so, with sub-standard material it was still a delight to listen to those whispery vocals. Best songs ‘Undertow’ and ‘The Faith’. But even Leonard knew. He has barely ever sung these songs live. Then a couple of years later Leonard discovered that his long-term accountant had absconded with most of his money. Leonard decided to crank the ‘live’ machine up and embarked at the tender age of 73 on a World Tour. And it was a brilliant success, his band never sounded better – and he was on top form; for once he seemed to be enjoying the experience. A slew of live albums followed, as did the tours. I saw him at the O2 in London and the album ‘Live in London’ is a double and features practically the entire show. Brilliant. And another drop from the bottle arrived a couple of years later with ‘Popular Problems’. Not really anything too exciting, but still good. Best songs ‘Slow’ and ‘Never Mind.’ In a way I am still absorbing these later records – the old ones have been played hundreds of times. Best of the live albums was ‘Can’t Forget’ – two new songs and two covers. Not bad for the old guy. The new songs are okay, treading water rather than pursue new paths but a nice record. I especially like the song ‘Choices’. Of course, over the years I have bought various Greatest Hits and even a covers album called ‘I’m Your Fan;. All good but no surprises. Somehow that doesn’t even matter. And madness or what, I recently bought a box set of his studio albums – all of which I already own, and which will remain unopened as I have all his records saved on computer and memory sticks. Such is the nature of worship. Book of Longing – is an album by Phillip Glass where he re-interprets some of Leonard’s poetry and songs. I am not either knowledgeable or a big fan of classical pieces but I quite like what he has done here. Leonard even recites a couple of poems – lovely to hear that voice again. Then he stopped touring as he approached his eighties, and rumours of ill-health started to emerge. His one-time lover and father of his children and subject of one of his best loved songs, Marianne, was near death and he sent her a public message that he wouldn’t be far behind her. We knew he was still writing, still attempting to distil beauty and wisdom from the mud of existence. And just like Bowie a year earlier he released his final album just days before dying. 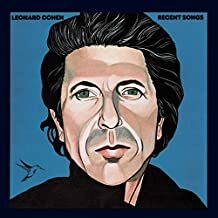 ‘You Want It Darker’ is an almost whispered prayer; Leonard had returned to his Jewish roots with synagogue choirs on a couple of tracks. His voice is almost shot and he almost recites the songs. I am still absorbing the record really. It is pretty good, though impossible to compare with his earlier wonders. I like the first couple of songs on the record but even if it were a bad record I would still treasure it I am sure. 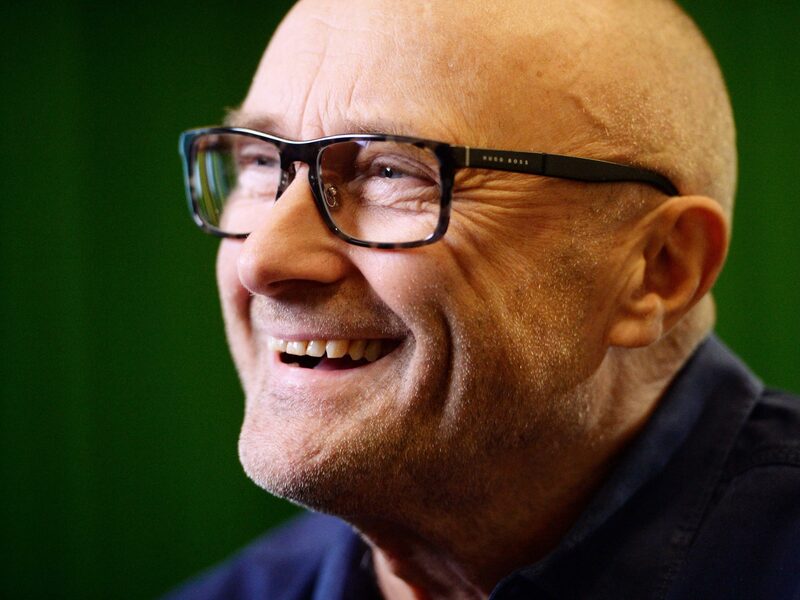 His son Adam produced the album and there are rumours that a new posthumous album is in the offing. We will see. All in all, though this is a hard one – Leonard is probably my very favourite artist, and that is because he has managed to combine two art-forms, poetry and music; maybe only Dylan and Joni come near to that perfection. So, I say Goodbye, but only for so long. I always return to him, especially in times of darkness. In many ways he has been my comforter and friend. Well, what to say? Firstly, that I am always surprised at the jollity accompanied by New Year’s Eve; I am the silent observer, watching incredulously at all this madness. I do join in, but more often than not my heart isn’t really in it. The arbitrary nature of the date itself, the rejoicing at the passing of one year and the hope over experience that the next year will indeed be better. Still, it is a time for reflection and possible renewal, or at least the attempt at it. Politically the year was completely clogged up with the machinations of Brexit; too boring and far too important to reflect on now – save to say we are in a mess, and hardly anyone is showing any leadership or courage at this perilous time. Maybe over Christmas there have been discussions and a possible way forward is in the offing. Meanwhile in America Donald Trump is now officially at war with everyone; his Cabinet (just like in Britain) keep flaking off like dead leaves to be replaced by lesser men and women; Congress has changed hands and the Democrats will now thwart him at every turn – and even the Republicans have had enough of him. Now that that will do him down – he will survive Meuller too, he will almost certainly stand for re-election – and of course he could win; it will be a brave Democrat who stands against him; it could be their only shot at being President. Please don’t let it be Hilary, a two-time loser and so tainted. I do travel back to England every few weeks, and I find a deeply unhappy country; the slow attrition of Austerity, and now the cruelty of Universal Credit, and the residue of division from Brexit has left us downhearted and weary and more divided than ever. I am not sure that any of the current Politicians stands any hope of bringing people together, despite all the warm words. And the real problems persist, how to fund an ageing population, a creaking NHS, a fragmented education system, an ageing infrastructure – and of course a huge and constantly rising debt. Any mention of increased taxation is the kiss of death, the press is toxic and still owned by a few rich men, and even though they sell far fewer papers they continue to set the news agenda itself. So, in one way, Theresa May is right “Nothing has changed”. Whether things will change in 2019 I doubt; even a General Election may decide nothing. All we can do is try to be kind to each other as the two juggernauts come hurtling down the highway – Climate Change and Artificial Intelligence. Have a good New Year.